I could never be like that. They’ve got something I haven’t got… they’ve got talent. Sometimes it’s easy to look at successful people from a distance and say to ourselves that they are somehow different to the rest of us. They were born with something we simply don’t have. We can recognise it, admire it, call it talent, or a gift, but we can never have it. We could never be like them. The achievement might be sporting, or business, or in achieving a well balanced life. Whatever their achievement are, we believe they are largely or entirely out of our reach. We believe that because they are “different” their success came easily to them – that it was somehow destined to them. This of course is the illusion of the Greatness Gap. We see people who have achieved great things and all we see is the achievement, the pinnacle, the height of their success. We can’t imagine that we could bridge that gap and achieve to the level they have. What we don’t usually see is the journey. It is the journey that shows us that there is no “gap” between average and greatness – just a path. It’s the process of traveling this path, and negotiating the challenges of this path that is the secret of success. Success doesn’t come all in one go. It’s a slow process of confronting challenges one at a time, constantly improving, constantly moving forward. The tirck to success is to recognise that it is the result of this process. To use de Bono’s analogy discussed from a previous blog, success is the result being able to successfully negotiate the obstacles of life’s race track. 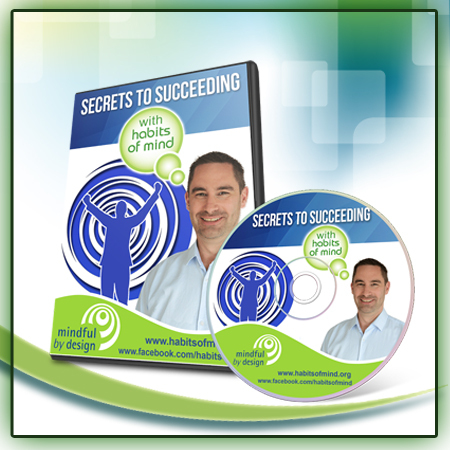 And in order to do this you must develop the necessary driving skills – the Habits of Mind. I’d actually disagree. I’m not sure if you’re talking about a persons emotional intelligence, or perhaps their motivation. But neither are a legitimate source of a greatness gap. Emotional intelligence, like other forms of intelligence, is not innate. It can be learnt and developed. On the motivation question I’d point you to Daniel Pink’s work that I also discuss briefly later in this series.